Why read or study biographies of others? • Learn the secrets of greatness? • See what obstacles others have overcome? • Find models and principles to shape our lives around? “Dode” (pronounced DOE-dee) Stroud is a musician, a violinist, who was part of the Dallas Symphony Orchestra for 42 years (few have done that). Her best friend from childhood couldn’t pronounce “Gloria” and “Dode” was as close as she could come. So it stuck. • perseverance — all those years with the symphony were not good years. At times the symphony floundered and nearly had to close. • tolerance — all the people were not pleasant to work with. • gifts developed — Dode was invited to the Julliard Graduate School at age 17. Her father bought her a Guarnerius violin made in 1740 which she has played ever since. • Attitude of service — She joined the USO at 18 1/2 and toured the South Pacific until World War II was over. • Musicians don’t talk well, they express themselves through instruments. Dode is a gifted public speaker. • Child prodigies often have narrow interests. Dode was cheerleader, senior year high school queen, raised two daughters and rode an ostrich in Kenya after her retirement. • High achievers are not often relational. Dode learned how to listen, how to talk, and how to connect with others. What path does one follow to get from a talented little girl called “Dode” in Cisco, Texas to a world-class musician that people invite to speak, pay her to play, and mind there manners when she comes. Her father was a doctor in Cisco and owned the only hospital in town. He asked her to play her violin for the patients in their beds. She did this reluctantly but compliantly to honor her father. • USO travels seeking to encourage the GI’s not to be the object of their admiration. • After retirement, performing in retirement homes in the Dallas/Fort Worth Metroplex because she thought that was a worthwhile thing to do. • Consistently believed that her spiritual life must remain preeminent. • After retirement, she continued to use her analytical skills to learn to play bridge and then achieved masters level status. • When her father asked her to play her violin for his hospital patients, she felt sorry for the captives who had to listen, even if they didn’t like it. • When Layden came by and signed her “short snorter” (name and phone number) in Okinawa, she winked at him. • She played in a girls string quartet which was heavily guarded and escorted in the South Pacific. They liked to look nice, behave like ladies, play their very best to encourage the men. They started in Honolulu, sometimes playing ten hours a day. • The musical group traveled to Saipan –> Guam –> Philippines –> Iwo Jima. But it was on Okinawa that she met Layden for the first time. • Back to Julliard, interrupted by Young Artists Dealey Awards in 1946, which she won. Stayed in Dallas to enroll in SMU. Correction . 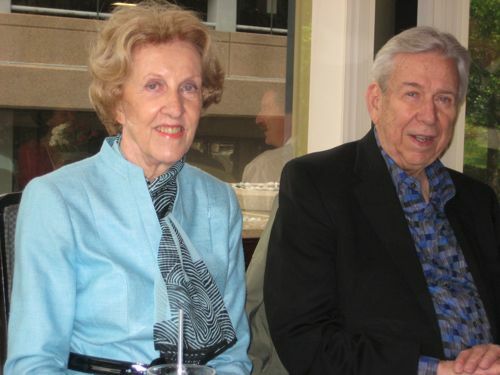 . . she stayed in Dallas to marry Layden in 1949. She found her identity in who she was and how she was gifted by God. Even if we’re not a prodigy, even if we’re not violinists, even if we’re no performers, we can learn from these character traits that Dody exemplifies to this day. Above all, like Dode, we can find our identity in God and work hard to develop the gifts that He bestows on us. Thanks for your life, Dode, that continues to inspire and encourage so many others. A friend of mine introduced me to the great Jewish physician and philosopher, Moses Maimonides (pronounced My-MON-i-deez) last week. His name is still associated with this great oath (though someone else actually wrote it) that rivals the more famous Hippocratic oath. I think every profession that serves people ought to have an oath that sets forth its highest values and fundamental purpose. It’s not just physicians that treat people who depend on them; it’s investors, insurance agents, counselors, and many kinds of advisors, wherever people are vulnerable and in a position of trust. I do not know of any such oath in the counseling field, beyond codes of ethics. Perhaps we can write one that would remind all practitioners of the enormous honor and responsibility of being the object of someone’s trust. An oath can keep us humble, not proud. It can remind us that we serve, not direct. It can anchor us to the centerline of our calling, not letting us veer off course. It can lift our awareness to the nobility of our profession. 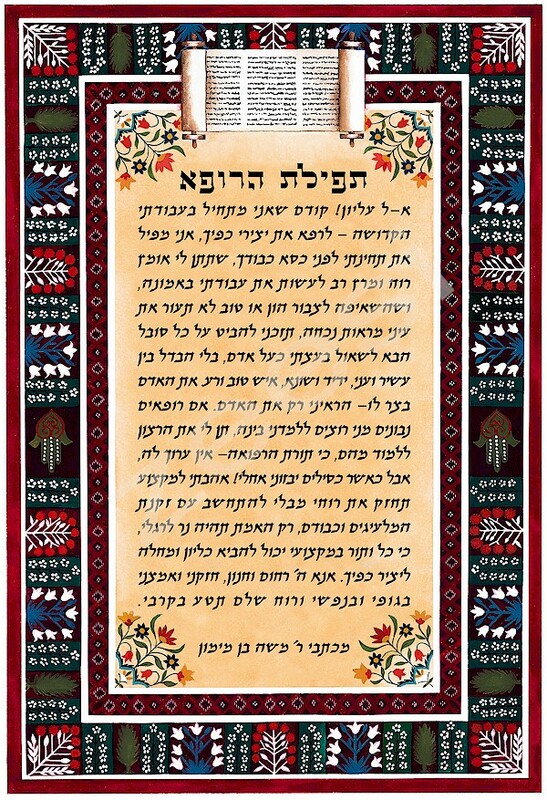 The prayer of Maimonides serves as an example. Read it reflectively. You will be rewarded. The eternal providence has appointed me to watch over the life and health of Thy creatures. May the love for my art actuate me at all times; may neither avarice nor miserliness, nor thirst for glory or for a great reputation engage my mind; for the enemies of truth and philanthropy could easily deceive me and make me forgetful of my lofty aim of doing good to Thy children. Almighty God, Thou has created the human body with infinite wisdom. Ten thousand times ten thousand organs hast Thou combined in it that act unceasingly and harmoniously to preserve the whole in all its beauty the body which is the envelope of the immortal soul. They are ever acting in perfect order, agreement and accord. Yet, when the frailty of matter or the unbridling of passions deranges this order or interrupts this accord, then forces clash and the body crumbles into the primal dust from which it came. Thou sendest to man diseases as beneficent messengers to foretell approaching danger and to urge him to avert it. strength of my body and of my soul that they ever be ready to cheerfully help and support rich and poor, good and bad, enemy as well as friend. In the sufferer let me see only the human being. Illumine my mind that it recognize what presents itself and that it may comprehend what is absent or hidden. Let it not fail to see what is visible, but do not permit it to arrogate to itself the power to see what cannot be seen, for delicate and indefinite are the bounds of the great art of caring for the lives and health of Thy creatures. Let me never be absent-minded. May no strange thoughts divert my attention at the bedside of the sick, or disturb my mind in its silent labors, for great and sacred are the thoughtful deliberations required to preserve the lives and health of Thy creatures. Grant that my patients have confidence in me and my art and follow my directions and my counsel. Remove from their midst all charlatans and the whole host of officious relatives and know-all nurses, cruel people who arrogantly frustrate the wisest purposes of our art and often lead Thy creatures to their death. Almighty God! Thou hast chosen me in Thy mercy to watch over the life and death of Thy creatures. I now apply myself to my profession. Support me in this great task so that it may benefit mankind, for without Thy help not even the least thing will succeed. 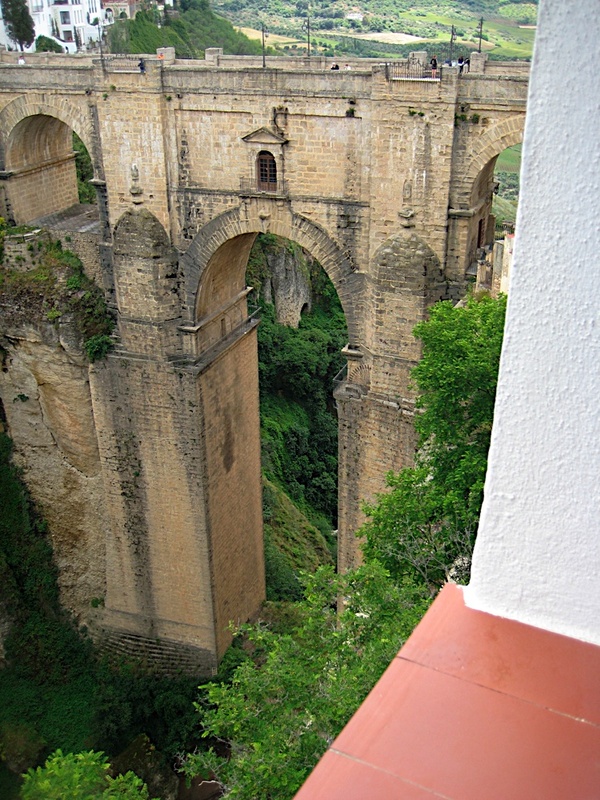 The view from our hotel window in Ronda (southern Spain) provided a breathtaking scene of what a bridge can do. 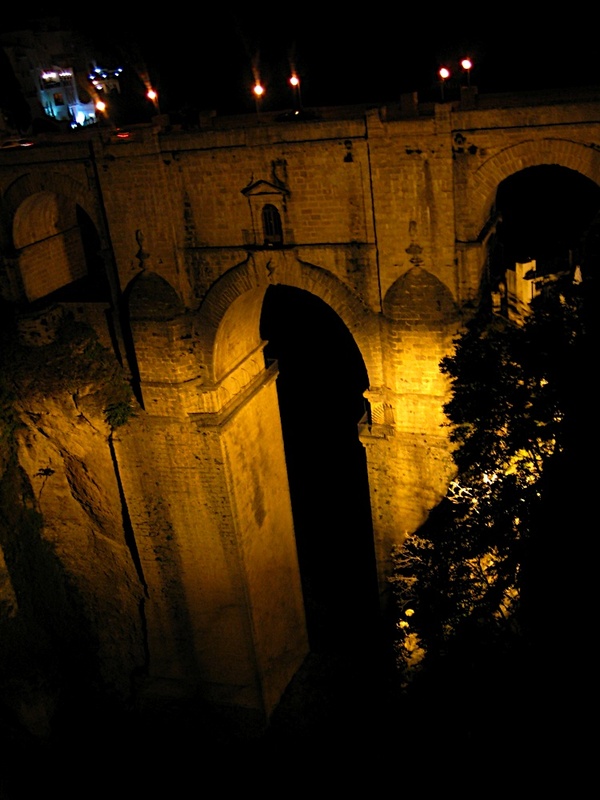 This “Puente Nuevo” (New Bridge) replaced the “Puente Viejo” (old bridge), or Moorish bridge, originally built in 1616. 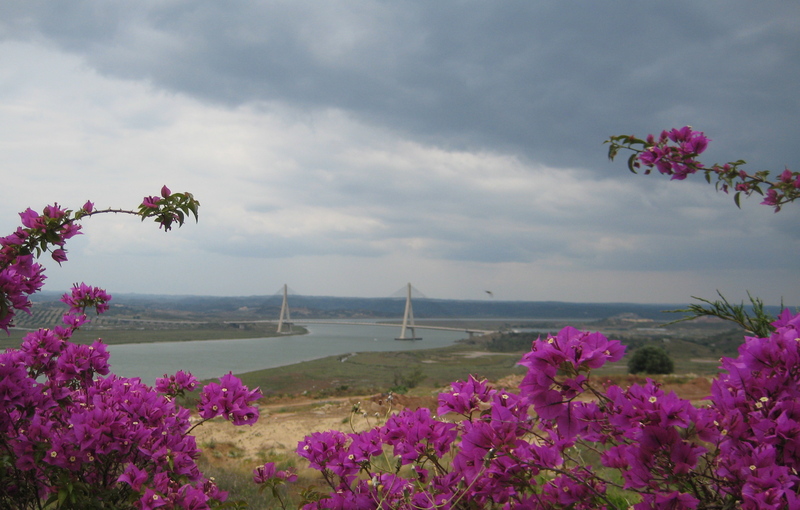 Construction of the new bridge under the direction of José Martin de Aldehuela took 42 years from 1751-1793. Its story illustrates the importance of a bridge’s foundation, because the old bridge collapsed in 1740, causing the death of 50 people. The lesson to me is this: If I want to be a reliable bridge, I’d better be well anchored on both sides. For example, since I attempt to integrate the fields of psychology and theology, I need to stay current with each field beyond the foundations laid with academic degrees in each. The gorge itself pictures what happens to many marriages over time. Maybe it’s from erosion from the top down; maybe it’s caused by underground rivers that allow softer material to cave in. Either way, the rift deepens and widens until it’s impossible to get from one side of the city to the other. Sometimes husbands and wives seem to be separated by such a gorge that “oneness” seems impossible to achieve. Then a bridge is required and that requires time, money, planning and effort. But the result can be beautiful and well as functionally unifying. An interesting criticism of this bridge is that it is built so much like a wall that it can obstruct the flow of water at the bottom of the Tajo Gorge. Parallel: Counselors need to be careful not to get in the way of the client’s “flow.” Motto: be strong, but don’t get in the way of progress. Click here for some really cool pictures of the bridge and if you like that, click here for another one. It’s an awesome sight. As I was surfing around the net, I ran across a blog that specializes in pictures and stories of bridges around the world and through the centuries. It’s worth a visit I think. 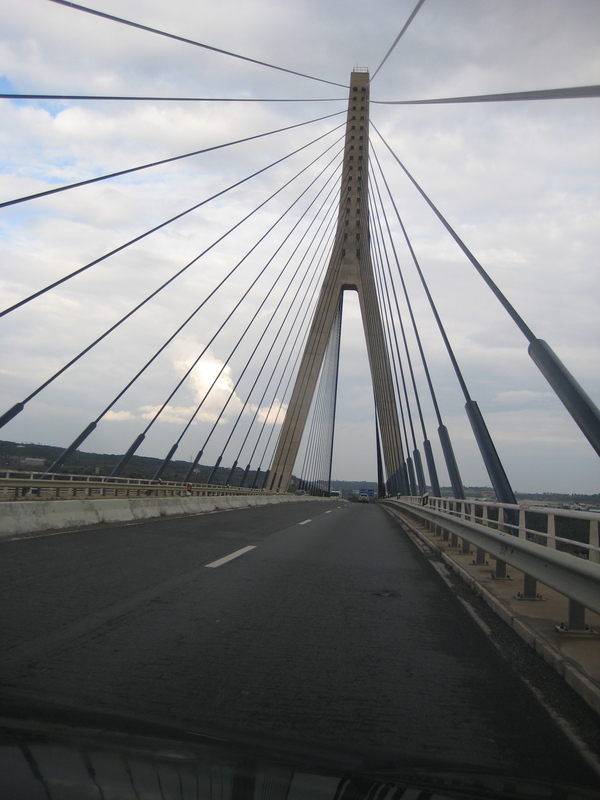 This bridge connects Portugal (on the left) with Spain (on the right). I took the picture in early June but the image has resonated in my mind for the past month and a half. One reason is that bridges, in general, are both functional and aesthetic. Usually, things are attractive but not very useful, or else they are very useful but ugly. I don’t know exactly how people used to get from one side to the other, but I’m confident it was not as convenient as this 2-minute ride across this stunningly graceful span. A second reason the notion of “bridge” has stuck with me is that I like to see my role in life as a bridge. A bridge doesn’t force itself on anyone, but if the two sides chose to utilize it, both sides are enriched. As this second picture shows, the ride across the bridge often looks a lot different than the view from a distance, but can be very enjoyable process as well. In my counseling, I regularly link male and female ways of thinking, of talking, of dealing with conflict, etc. I like to provide a link between despair and hope, often in the form of a clearer perspective of who God is and how we can attune ourselves to His ways. I love to connect the “achieving mentality” with the “relational mentality” because they have so much to offer each other. Similarly, I get a charge out of integrating the concrete with the abstract mind. I invite your comments below on how many other ways you see people differing, like Big-picture/Detail, Do-er/Thinker, Shaper/Adapter, etc. Finally, I found a ready-to-apply article on assessing suicide risk. Usually, articles are too brief to trust their application. Other times, they’re so theoretical that they require a lot of work to extract practical tips. Finding reliable information that is readily usable is important for staff personnel in academic settings, for example, who need to be aware of what signs are important, but are not going to be clinical experts in assessment. This article, “Strategies for Understanding and Assessing Suicide Risk in Psychotherapy,” appeared in the Winter 2007 issue of Annals of the American Psychotherapy Association which is one of the better journals I read regularly. Click here for the entire article. · Low lethality — suicidal ideation is present but intent is denied, client does not have a concrete plan and has never attempted suicide in the past. · Moderate lethality — more than one general risk factor for suicide is present; suicidal ideation and intent are present, but a clear plan is denied; and the client is motivated to improve his/her psychological state if possible. · High lethality — several general risk factors for suicide are present, client has verbalized suicidal ideation and intent, client has a coherent plan to harm him or herself, and client reports access to resources needed to complete the plan. · Very high lethality — client verbalizes suicidal ideation and intent, he or she has communicated a well thought out plan with immediate access to resources needed to complete the plan, client demonstrates cognitive rigidity and hopelessness for the future, he or she denies any available social support, and he or she has made previous suicide attempts in the past. I would like to see an equally informative article explaining how to treat someone who has been assessed at a high level of lethality. Click here for a concrete example of what I’m looking for. Can anyone suggest resources for how to respond to each of the four levels mentioned: (1) Low, (2) Moderate, (3) High and (4) Very high levels of lethality? You are currently browsing the J. Lee Jagers, PhD, ThM, LPC blog archives for July, 2008.